Home GOREDEMA, Charles ed. Profiling Money Laundering in Eastern and Southern Africa. Profiling Money Laundering in Eastern and Southern Africa. We're sorry; this specific copy is no longer available. Here are our closest matches for Profiling Money Laundering in Eastern and Southern Africa. by GOREDEMA, Charles ed..
1. 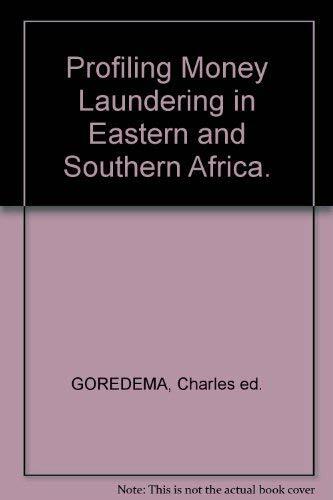 Profiling Money Laundering in Eastern and Southern Africa.